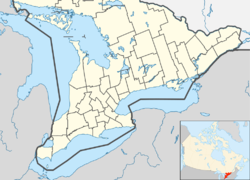 Cannington is a community located in Brock Township, Durham Region, Ontario, Canada. The town is on the Beaver River. 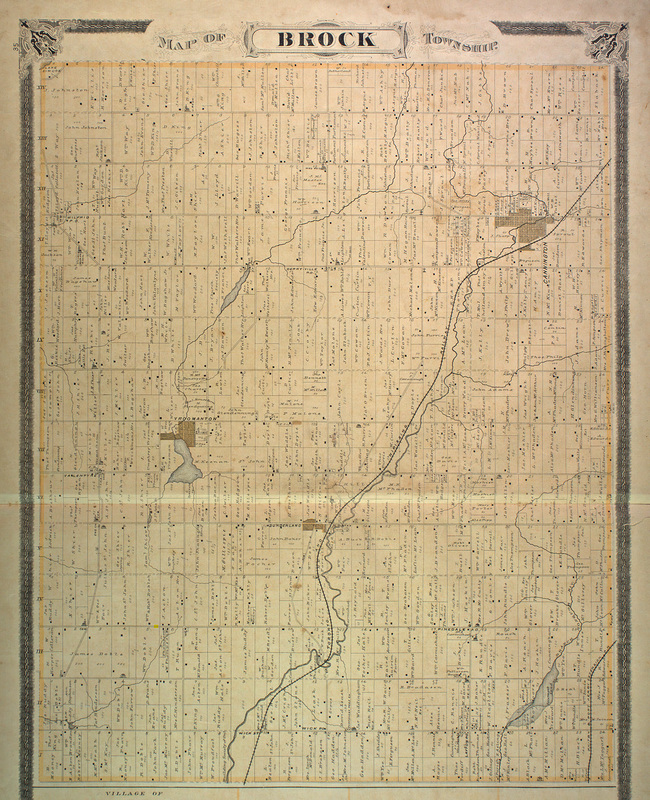 Originally part of the original Brock Township, Cannington was first settled in 1833. It was originally known as McCaskill's Mills after a local mill-owning family. In 1849, a post office was opened, at which point the settlement was renamed Cannington after former British foreign secretary and Prime Minister George Canning (1770–1827). Cannington separated from Brock Township in 1878 when it was incorporated as a Village. When Durham Region was created in 1974, Cannington was amalgamated with the original Brock Township, Thorah Township and the Village of Beaverton to create the newly expanded Township of Brock. In 1987 there was a fire that destroyed dozens of homes through the town. The community serves as a service centre for the surrounding rural area. It is home to the municipal offices of Brock Township, as well as a secondary school, Brock High School, and an elementary school, McCaskill's Mills Public School, which was originally 2 separate schools, H.W. Knight Public School, and Cannington Public School. The 2 schools later amalgamated, forming McCaskill's Mills Public School, named after the original town name, which was opened in 2006. The school offers a French Immersion Program, however the high school does not. French Immersion students are bused to Port Perry High School, which offers the program. The post office on Cameron St. W. services locals with lock boxes and two rural routes. There are multiple restaurants such as Brock Bistro, Mays Restaurant, Georgios and The Locker. Cannington was the adopted hometown of guitarist Don Ross for twelve years. CBC TV presenter Ralph Benmergui lived in Cannington in the late 1980s and early 1990s. Cannington was home to the author Timothy Findley, who wrote a memoir, From Stone Orchard, about his experiences living at a farm on the outskirts of Cannington. McCaskill's Mills features as a setting in his 1995 novel "The Piano Man's Daughter". After Findley moved to France due to declining health, dancer Rex Harrington purchased Stone Orchard. Cannington is also the birthplace of Rick MacLeish (1950–2016), an NHL hockey player who starred with the Philadelphia Flyers in the 1970s and 1980s. Artist Robert Holmes (1861–1930) was an artist known for his watercolour depictions of wildflowers. He also taught at Upper Canada College, the Central Ontario School of Art and Design and its successor, the Ontario College of Art & Design. Some of his works can be seen in the Cannington Historical Society's Museum in the upper part of MacLeod Park. ^ a b "Cannington". Geographical Names Data Base. Natural Resources Canada. Retrieved 2014-04-20. This page was last edited on 1 March 2019, at 06:34 (UTC).